Console cage fight: who will emerge victorious? 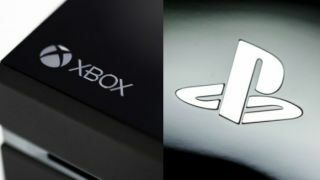 Reviewing a games console at launch is never an easy task, and while the Xbox One and PS4 certainly have a lot of power to show off, right now it feels like they're two big promises of what we can expect to see in the next few years. But that hasn't stopped the TechRadar team getting their heads together to try and reach a conclusive verdict on which one is leading the race right now. Which looks nicest? Who has the better UI? Do we have a favourite controller? The best is yet to come, but which console do we think is an early next-gen winner as we exit 2013? Hit play to find out where we stand. Don't forget - you can also check out our individual Xbox One and PS4 reviews.